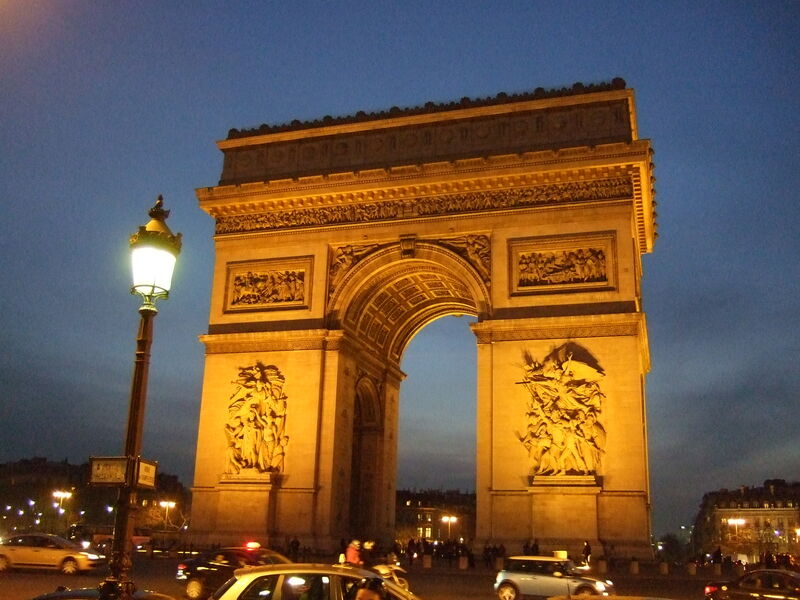 This is a picture of the Arc de Triomphe from a visit to Paris last year. The visit was in many ways a personal triumph for me. I give God all the credit for making it happen. The light on the arch kind of highlights the idea trimuph…here we were looking at the Arc de Triomphe and the Champs-Elysees at night….very beautiful. And a personal victory for me. So, what triumphs in your life have you celebrated lately? How did you see God making it happen? This entry was posted in Photos and tagged Arc de Triomphe, blog, illumination, light, photo, postaday, victory, Weekly Photo Challenge.